HOC is excited to open our online registration portal for the 2016 summer season. HOC online registration is now open and we are excited to invite campers to join us for your 50th Anniversary season. The 2016 season is sure to be filled with new and exciting activities and events to celebrate this special occasion. Stay tuned throughout the year on what we are planning. A couple of changes have been implemented into this year's online registration portal for parents (especially veteran parents) to be aware of. 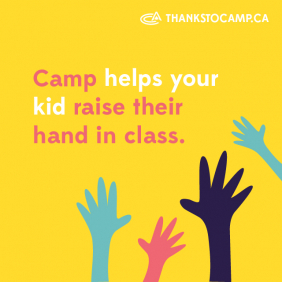 In conjunction with streamlining the content on our website, we felt that the names of our programs also needed to be streamlined and revamped so that they are clearer for the camper and/or parent when registering. We have now identified our program titles first with either "Overnight" or "Day" to signify if the program is a resident stay overnight program or a program that takes place only in the day and campers have accommodations elsewhere. The second part of the title describes the type of program offered. For example, our main program at camp is Overnight Hockey + Camp Program. This program title shows that campers who register for this program will be staying overnight in our cabins and participating in both our hockey and general camp activity programming. As per previous years, our online portal makes completing your camper's registration application form a breeze. This year, we have changed the submission process slightly in that parents are now required to complete the application form and the health history form at the same time. Given the importance of the details on the health history form, we were finding that many camper's forms were not either being submitted on-time or not at all, therefore making it difficult for our health care team to care for those campers without any background details. As a result of the new system, parents will need some key pieces of their camper's health information before completing the application process. Last year we were able to offer 9 weeks of camp due to the longer summer school calendar, therefore parents and campers had more options, helping them to secure their preferred week/program even closer to the season. This year, given the summer calendar will go back to its typical 8 weeks and the fact that it will be our special 50th anniversary season, we anticipate weeks and programs filling up quickly therefore, if you have a preferred week you are intending to attend camp, register early and secure your spot before its gone.